To supply its own production at the Bocholt site, as well as to supply its international subsidiaries, Benning has established a new, automated logistics centre that replaces the existing manual warehouse at the same site. In the first phase of implementation a three-aisle automated small-parts warehouse (Miniload) with 17,000 double-depth container bays and a threeaisle high-bay warehouse (HBW) with 2,600 pallet bays were set up. Both new warehouse areas are equipped with conveyor technology. An additional 5 Rotomates (carousels) from the old plant, which expand the storage capacity if necessary, are located near the miniload. A separate, manually operated high bay that is used for oversized articles, heavy loads and hazardous items completes the plant. Up to 12,000 different articles are stored. 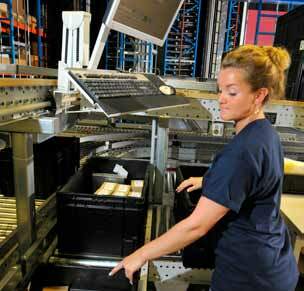 Approximately 150 order-picking assignments with around 2,100 order positions are processed per day. At present work is done in 2 shifts per day, while 3 shifts are also worked at peak times. Dematic won the order to set up the planned warehouse solution as a general contractor. Benning placed a great deal of emphasis on ensuring seamless migration from the old, manual warehouse solution to an automated solution within a continual operation. From the IT perspective the task was to produce a warehouse management system that controls all of the automated and manual warehouse areas, but which is also easy to operate in the process. In addition to setting up automated warehouse zones with goods-to-person order-picking, the task also involved equipping the manual stacker-operated zones with a stacker guidance system and person-to-goods order-picking, and integrating these into the system. The interface to the host had to be transparent and open, so that the existing host solution can be replaced gradually by the planned Microsoft Axapta solution at a later point in time without modification to the WMS. To safeguard reliable supply to production, Benning expected a plant availability of at least 96%. The central feature of the solution is the warehouse management system based on the Dematic WMS, which integrates all of the warehouse areas and all of the business processes. All of the essential operational processes are supported by the dialog system, whereby both fixed PC workplaces and mobile radio data units (MDUs) can be used. These processes include data collection based on advice and quantities, person-to-goods and goods-to-person order-picking with support from a Put-to-Light system for multi-order picking, interim storage, order consolidation, shipping and a stacker guidance system. 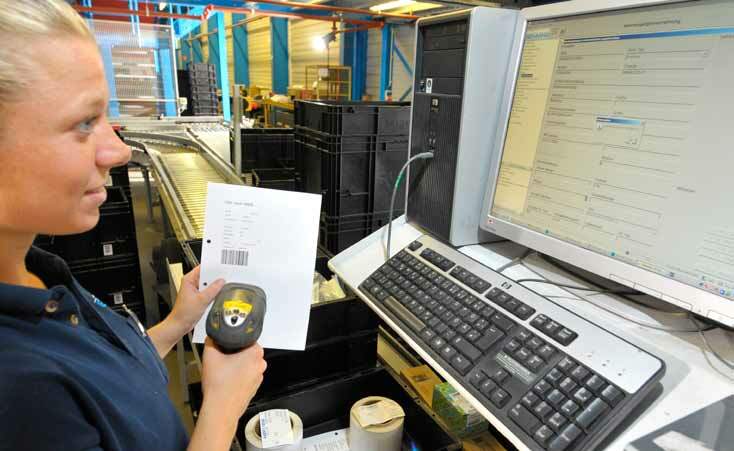 In addition to preparing a control console for central administration tasks, a fully-fledged ABC analysis as a basis for warehouse optimization was also integrated. Particular emphasis was placed on ease of use of the operational dialogs. The host connection was implemented via a database interface which enables random hosts to communicate with the WMS. To identify essential warehouse key figures and to verify the promised >96% availability, the company installed the Dematic Performance Manager, which brings a large number of evaluations and reports from the plant and which can also be used to identify key figures as desired. The Dematic IT Suite already models many business processes as “best practices” in its standard. This meant that it was already possible to begin configuring the system during the specifications phase. Only around 10% of the required functionality had to be produced as a new feature. Following extensive in-house tests the software was then installed in the plant and Benning staff obtained corresponding training. The entry into service of the IT took place after around four weeks. The supply to production was secured during the entire run-up phase and it was possible to achieve the desired increase in throughput. Implementation according to the motto “Keep it simple” formed the basis for the problem-free switchover from manual to automated warehouse operation. Benning acquired a very user-friendly IT solution that is secure for the future with this Warehouse Management System based on modern application server technology. The customer Benning Elektrotechnik und Elektronik GmbH & Co. KG with headquarters in Bocholt, is a reputed manufacturer of high-quality AC and DC power supply units for industry. The battery supported power supply units are used to secure control technology for signaling units and railway tracks, in aviation and in power stations, etc. The company is represented by more than 20 branches worldwide.